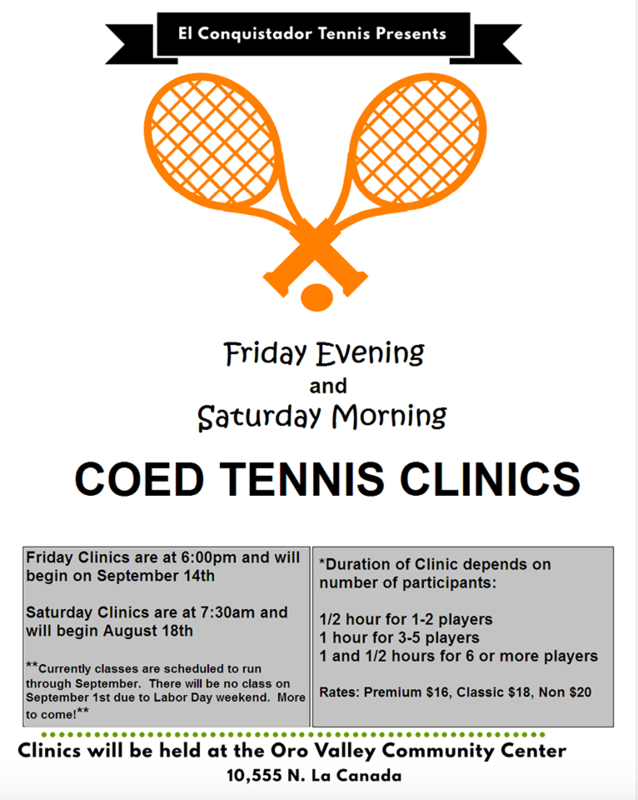 *Duration of clinic depends on number of participants: 1/2 hour for 1-2 players, 1 hour for 3-5 players, and 1 and a half hours for 6 or more players. A perfect tool to improve all facets of your game. These group lessons are geared to your specific requests, including strategy, stroke technique, footwork, point play and/or drills. Available at either Pusch Ridge or Community Center facilities. Create your own: Come to us with your group, and match day/time we will take care of everything else! El Conquistador Golf & Tennis - Town of Oro Valley © 2019. All Rights Reserved.